When you think of Queen Victoria, who ruled the British empire a staggering 64 years between 1837 and 1901, you think of the stern old lady you know from most photographs of her later years. However, Victoria also once was a young woman and "The Young Victoria" sets out to portray exactly those years. Victoria's life as a teenager in the hermetically sealed world of Kensington Palace where she isn't even allowed to walk up and down the stairs without holding someone hand, her becoming Queen one night at the age of 18 and her falling in love with Prince Albert of Saxe-Coburg and Gotha. 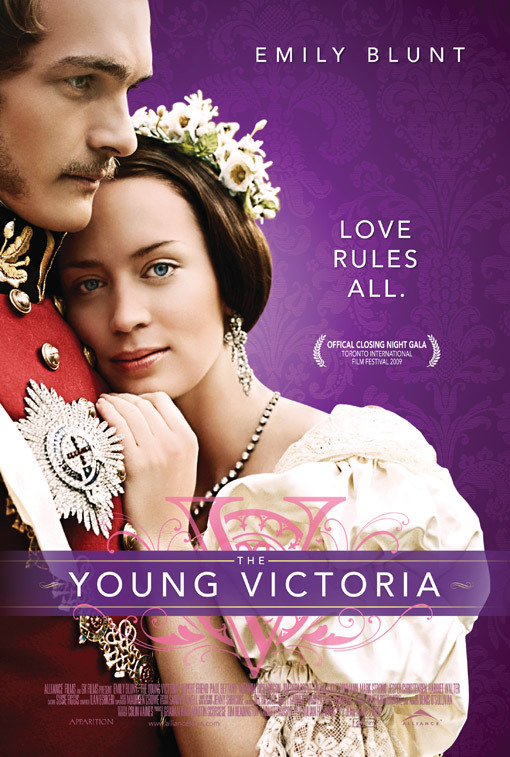 Even though political struggles also feature in the film, the love between Victoria and Albert, portrayed by Emily Blunt und Rupert Friend, take centre stage. While not the greatest of all period dramas, it's a good view for anyone with a penchant for romantic period dramas. And a must for any castle lovers as nine stately castles and homes get a workout here - and Westminster Abbey, too.